Low-power oxygen monitor module, the SPO2 Module MONM-SP020 is used in the sampling inspection or measurement of the patient's oxygen saturation and pulse rate. In addition to the average oxygen saturation, low-power module can send instantaneous blood oxygen saturation, especially in the sleep research very useful. the SPO2 module MONM-SP020 is compatible with all of the BCI probe. The SPO2 module MONM-SP020 can be used in infants, newborns and adults. Low-power oxygen monitor module, the SPO2 Module SP020 is used in the sampling inspection or measurement of the patient's oxygen saturation and pulse rate. In addition to the average oxygen saturation, the SPO2 Module SP020 can send instantaneous blood oxygen saturation, especially in the sleep research very useful. 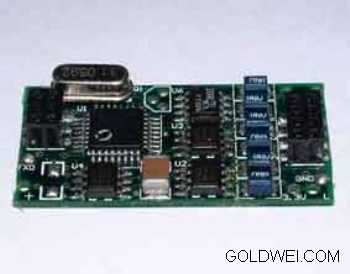 the SPO2 module SP020 is compatible with all of the BCI probe. The SPO2 module SP020 can be used in infants, newborns and adults.